The Flying Colour Company (TFCC) will move to a larger facility in 2018 after outgrowing its current Carnaby Street base. 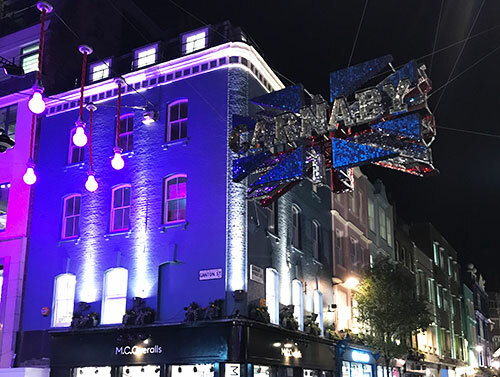 The new HQ will be a stone’s throw away, on the corner of Ganton Street and Carnaby Street (pictured, above), and will cover more than 2,500 sq ft of space across three floors, more than doubling the firm’s footprint. Due to open in January, it will include three Flame suites, an enlarged machine room, a high-speed fibre network and additional data storage. Further staff will also be added to the current headcount of 14 as the firm looks to tackle ongoing and additional projects. TFCC chief engineer Andy Howard will oversee the facility installation. This article first appeared in Broadcast magazine.